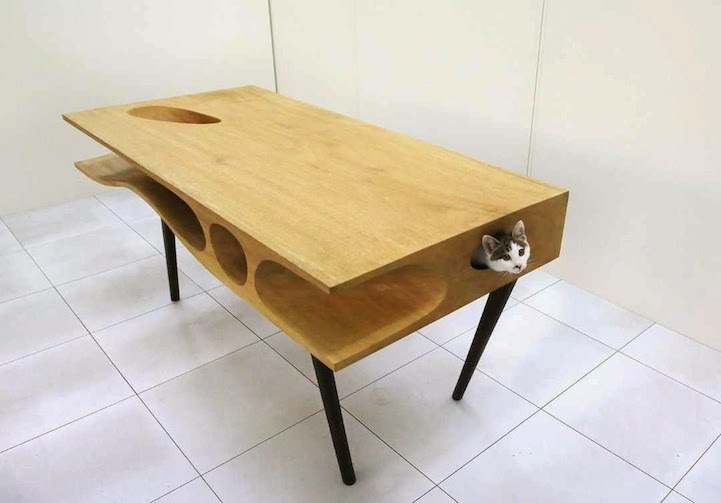 Here's an ingenious demonstration of practical functional furniture design that brings together a pet of the feline variety and their owner. It's a desk that is nothing to do with the "all work and no play" desks that usually belong to the office cubicle culture. This one here looks like the wooden version of a generous slice of Gruyère cheese, cavities and all. It is expected to get more than a round of applause from cat lovers and more than a passing Cheshire Cat grin from their tabbies, Lil Bub included! In fact, we expect no less than roaring success all round, especially amongst the scores of our design-conscious urbanite friends working in creative studios that are one quantum leap ahead of the game and only too happy to integrate the latest trends into their work environment, a bit like those cool dudes over at Google. Designer Ruan Hao created the aptly-name CATable for Hangzhou and Hong Kong-based architectural design practice LYCS Architecture. The finished product was proudly featured at this year's Design Milan Week. Sources: (1) to (3) The CATable, via My Modern Met. 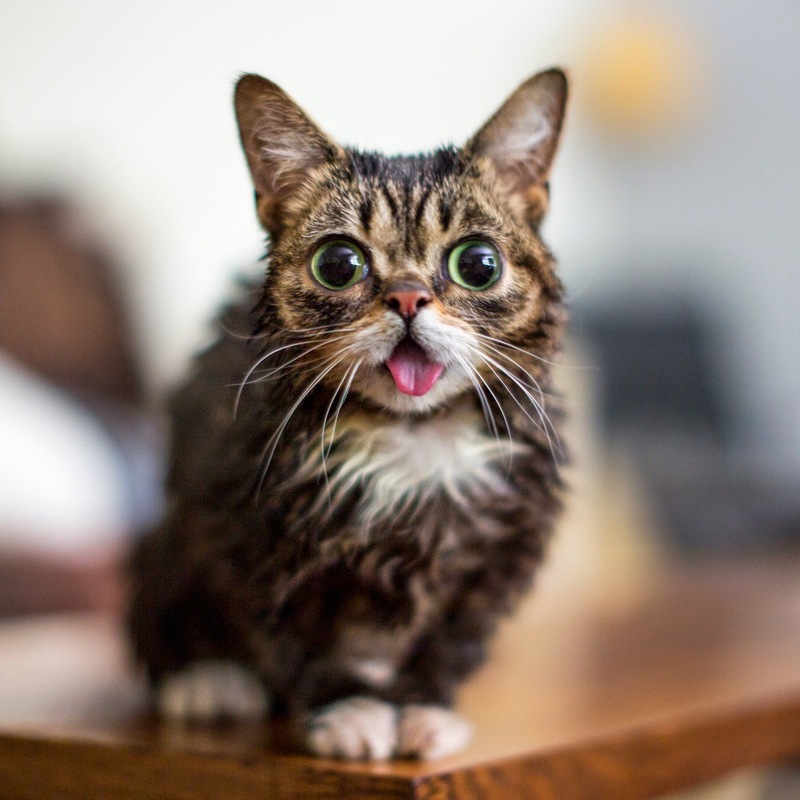 (4) Internet star Lil Bub. 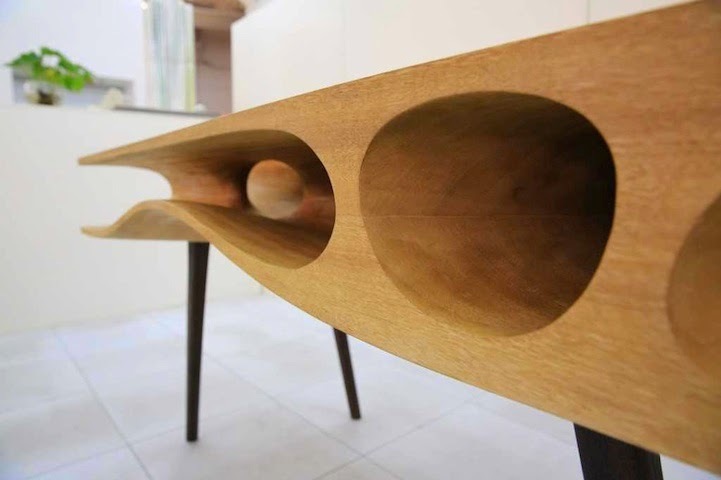 Best of Milan Design Week 2014, via Yatzer.